The Philippines is the fourth most disaster-prone country in the whole world. Each year, at least 10 typhoons make landfalls in the Philippines. 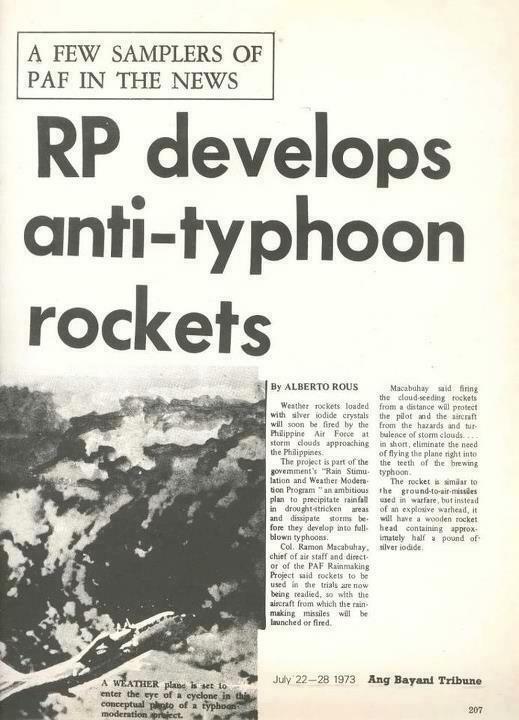 Back in the day, the Philippine government proposed and executed a way to weaken typhoons, by firing rockets with a weather modification warhead directly on it. 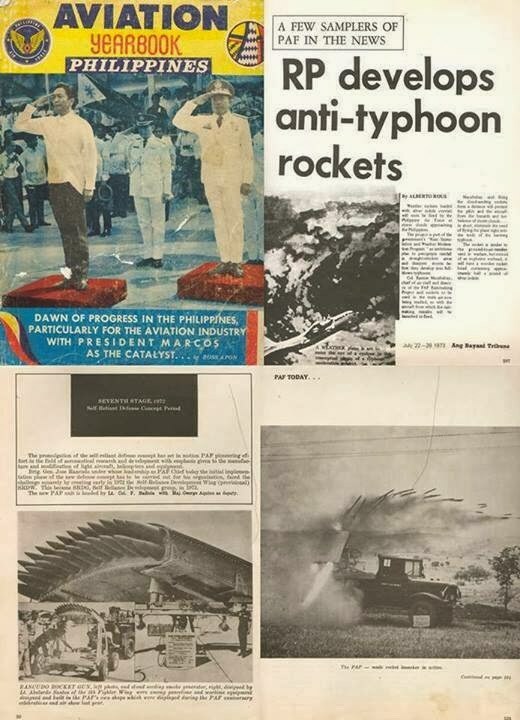 In the past years, scanned copies of old articles that detailed the Rain Weather Stimulation and Modernization Program dated back to 1973, was uploaded on the Internet. The plan is to have F-5 Freedom fighters equipped with these silver iodine tipped, anti-typhoon rockets and fire it on an approaching tropical cyclone. The results of the tests were not revealed to the public. These weapons proved that Philippine Armed Forces back then have the capability to do RND for weapons. 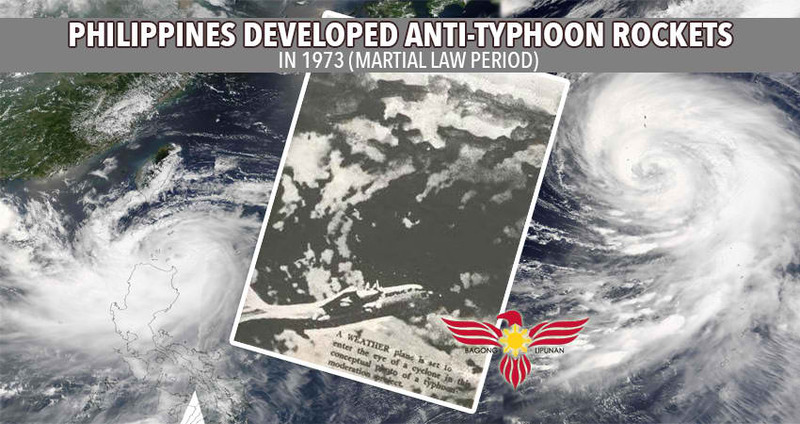 The video above shows the other experimental weapons developed during the Martial Law period. Some of these weapons are preserved and featured in exhibits.